Something fun, for our last post. Afficiados of a certain science-fiction series have oft remarked on the resemblance of the Berkeley’s Sfera con Sfera to a half-built Death Star. We’ve always thought the Berkeley was a pretty stylish place, where all the cool kids hang out. Hence we were delighted when FRANC magazine asked about featuring us in the Fall 2017 edition of their publication. This led to the great video and images below, where fashion is showcased against the Library. 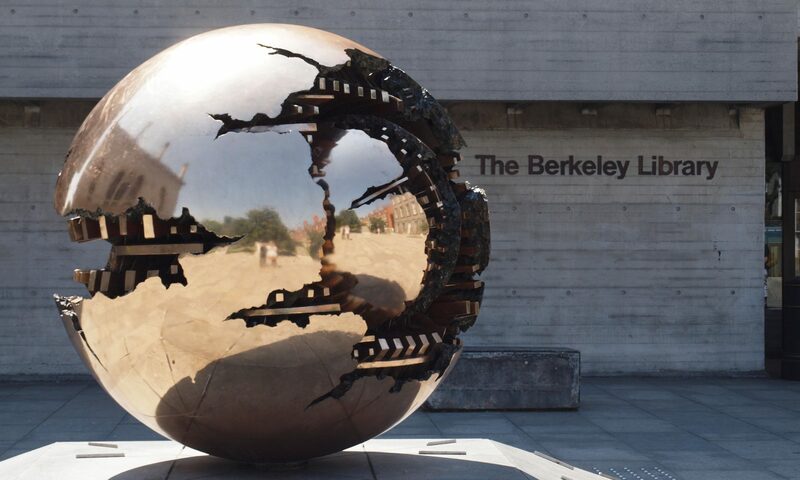 We’ve enjoyed posting various “might-have-beens” recently, but have saved the most radical until last – a variety of plans to have a new joint facility with the National Library of Ireland. 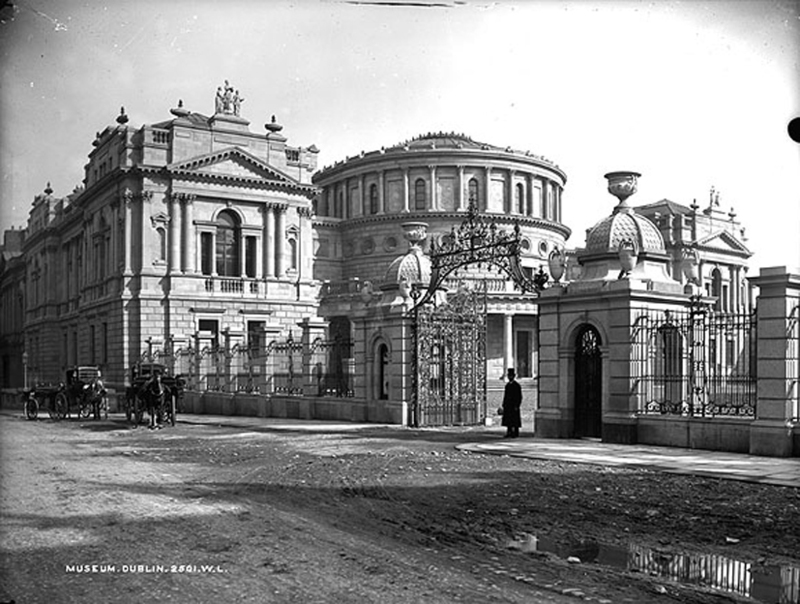 The National Library on Kildare Street, c. 1895. It is placed in relation to the old Library and the Museum Building so that it naturally forms a courtyard between them which opens on to New Square and serves as an entrance court for both the old and new libraries. It also makes possible the development of a future quadrangle either in the Fellows’ Garden or the western end of College Park. As many as possible of the existing trees on the site have been preserved, and the southern part of the site remains available for future expansion. 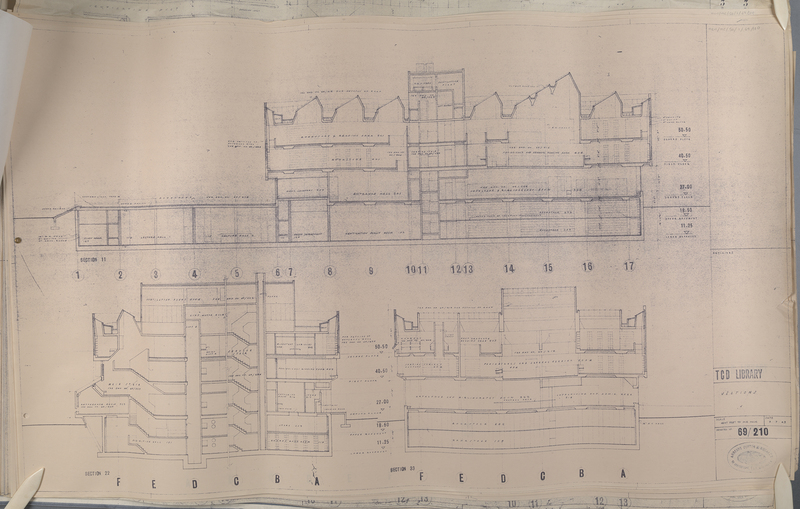 Plans held by the Manuscripts & Archives Library. Hidden behind normal freestanding shelving holding books, the second floor of the Berkeley Library contains a number of slightly odd deep shelves – with rollers at the front! – dotted around the outer edge of the reading rooms. They are original parts of Koralek’s design, intended to house large map volumes – “atlas cases”. The maps are long gone but the empty shelves demonstrate Paul Koralek’s attention to detail.